Amazon's investment in ToneTag could see the online retailer's payment service getting a serious boost in the offline space. Bangalore based digital payments company ToneTag in which Amazon is a heavy investor, is said to be bringing new ways for customers of Amazon to make payments offline. 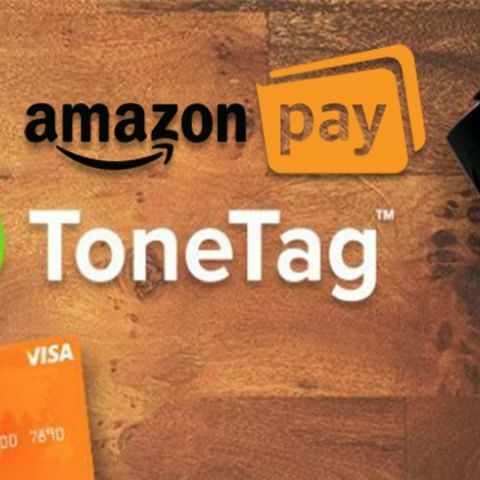 Payments is a big area of interest for Amazon and this new partnership with ToneTag is definitely going to help Amazon. The immediate benefits of the investment for Amazon would come in the form of immediate access to offline payments through the thousands of ToneTag’s touchpoints that exist in the market today. ToneTag also said that they will be integrating their SoundWave Technology for payments of deliveries, a feature expected to roll out in the next 3-4 months. “Customers will be able to use Amazon Pay at three lakh offline merchants that we have partnered with,” said ToneTag CEO Kumar Abhishek. However, the primary benefit for users would be that they would be able to pay for goods at a physical store using their Amazon Pay balance. Even dealing with the cash-on-delivery order would become easier in the event you somehow end up without cash when the package arrives. The really interesting use case of the Sound Wave technology could also see diners benefitting from the completely contactless payment system. Dubbed “Eat-and-Go,” Abhishek says that ToneTag’s Sound Wave technology would allow diners to simply get up and walk out of the restaurant without having to physically pay the bill. Through Sound Wave, your bill automatically is paid as you walk out of the restaurant. The feature will be coming to roughly 8000 restaurants across the country and will be exclusive to Amazon Prime members. Another use case scenario would be for paying the parking fee at Malls and shopping centres. ToneTag has partnered with Secure Parking which manages a large portion of the paid parking spaces across the country to integrate ToneTag’s payment system. All the customer would have to do is enter standing instructions for a maximum payable amount and they could simply drive out of the parking lot without having to physically pay cash to the attendant, all using Amazon Pay. With their investment in ToneTag, Amazon has taken one significant step forward in expanding not just the user base, but also the usability of its online Payment system. Amazon Pay was restricted by a lack of wide offline adoption, a trend Amazon hopes to change in the coming year.